The aim of the study is to examine the factors affecting sports products brand preferences of the students attending the Faculty of Sport Science in Turkey and whether these factors display differences according to certain variables. The population of the current study is the students attending Anadolu University Faculty of Sport Sciences. The sampling includes a total of 369 students. In order to determine brand preferences of the students for sports products, a scale developed by Ciftci (2006) was administered. SPSS program was used for the analysis of the data. According to exploratory factor analysis, all the sub-scales stated in the scales developed by Ciftci (2006) were found to be valid for that study. Significant differences were found in these sub-scales among the groups for various variables (p<0.05). The results of the current study show that students take the following factors into consideration while preferring the sports products they will use; the prestige due to the use of the product, brand familiarity and an easy-to-remember name, etc. The following factors are also important while students buy a sports product: not frequent changes in prices, having the same price in every shop, option of payment by credit card and the availability of other easy payment methods. Students state that the following factors are also influential in their sports brand preferences: high quality that meets the expectations; model and product variety, interesting and attractive design, high quality fabric, and the satisfaction with the other products of the brand. Agaoglu, Y.S. (2013). Evaluation of brand preference of physical education and sports college students, Journal of Social and Economic Research, 15 (25): 37-46. Akyuglu, I. K. & Temel, A. (2006). How to make consumers prefer? (a research on the factors affecting the preferencepublic sector employees clothing brand), The Journal of Institute of Social Sciences (15): 43-59. Altunısık, R, Coskun, R., Bayraktaroglu, S. & Yıldırım, E. (2005). Research methods in social sciences: spss applied, Sakarya Publisher, Sakarya. AMBRO Responsive Wordpress Magazine (2012). “Adidas market share of 42% in Turkey”. [http://www.sporist.co/a/adidas-turkiye-haluk-ozmutlu/]. Retrieved on 12 January 2014. Borca, G. (2003). Buyukoturk, S. (2007). Experimental designs: pretest-posttest control group design and spss applied data analysis. experimental designs, pretest-posttest control group design and data used in the analysis of alternative statistics, Pegem Publisher, Ankara. Cakır, M., Cakir, F. & Usta, G. (2010). University students' determination of factorsaffecting consumer preferences. Journal of Organization and Management Sciences, 2(2): 87-94. Chimboza, D. & Mutandwa, E. (2007). Measuring the determinants of brand preference in a dairy product market. African Journal of Business Management, 1 (9): 230–237. Cavusoglu, S.B. (2011).The reasons for preferring sports products and the brand choice. Online Academic Journal of Information Technology, 2(3): 7-18. Ciftci, S. (2006). A research on Brand and Brand Loyalty of University Students Jeans Brand Preference and Brand Loyalty, Unpublished Master's Disertation: Bolu. University of Abant Izzet Baysal. Ciftci, S. & Cop, R. (2007). The terms of brand and brand management: an ınvestigation about university students’ jeans brand choices, finance, Political & Economic Reviews, 44 (512): 70. Ersoy, A.F., Arpaci, F. & Demirci, A. (2004).Consumption of university students in clothing & footwear brand-oriented behavior and preferences, Gazi University Journal of the Faculty of Industrial Arts Education, 14: 1-12. Hair, J.F. JR., Andreson, R.E., Tahtam, R.L. & Black, W.C. (1998). Multivariate Data Analysis, (Fifth Edition) Prentice-Hall International Inc, New Jersey. Hogg, M. K., Bruce, M. & Hill, A.J. (1998). Fashion brand preferences among young consumers, International Journal of Retail & Distribution Management, 26; 8, 293-300. Islamoglu, H. & Altunışık, R. (2008). Consumer behaviors (2nd Edition), Beta Publications, İstanbul. Jamal, A. & Goode, M.M. H. (2001). Consumer and brands: a study of impact self-image congruence on brand preference and satisfaction. Marketing Intelligence and Planning, 19:7,482-492. Salman, G.G. & Tatoglu, E. (2008). An integrative framework linking brand associations and brand loyalty in professional sports, Journal of Brand Management 15, 336 – 357. Lin, C. (2002). Segmenting customer brand preference: demografic or psychographic. Journal of Product & Brand Management, 11 (4): 249-268. Lin, Y.T., Chen, S.C. & Hung, C.S. (2011). The impacts of brand equity, brand attachment, product involvement and repurchase intention on bicycle users, African Journal of Business Management, 5(14):5910–5919. Nicholls, J.A.F., Roslow, S. & Dublish, S. (1999). Brand recall and brand preference at sponsored golf and tennis tournaments, European Journal of Marketing, 33: 3/4, 365- 386. Oh, J. & Fiorito, S.S. (2002). Korean women’s clothing brand loyalty, Journal of Fashion Marketing and Management, 6(3): 206–222. Rio, A.B., Vasquez, R. & Iglesias, V. (2001). The effects of brand associations on consumer response, Journal of Consumer Marketıng, 18:5410-425. Sencan, H. (2005). Reliability and Validity of Social and Behavioral Measurement, Seckin Publisher, Ankara. Simsek, O. F. (2007). Introduction to structural equation modeling: basic principles and applications of lisrel, Ekinoks, Ankara. Tozoglu, E. et.al. (2011). 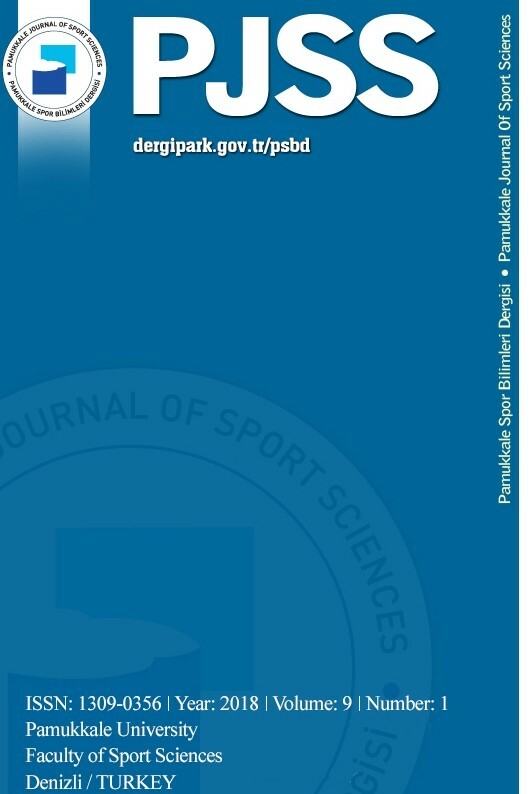 The investigation and comparison of communicatıon techniques that relate to making of sports trade mark products in turkish and american physical education and sports faculty students, Journal of Sports and Performance Researches, 2(1): 50-60. Wen-Hung Wang, S. & Tang, H.H. (2011). A study of brand attributes: cross-industries and implications. African Journal of Business Management, 5(22): 9568–9578. ISNAD Çelik, Veli . "Sports Products Brand Preferences of University Students in Turkey: Anadolu University Case". Pamukkale Journal of Sport Sciences 6 / 2 (May 2015): 1-16.